In today’s post I am offering you a weekly gift of free avengers Hulk T-Shirt design. A ridge of craze is observed in the lovers of the movie “Marvel’s The Avengers”. The superhero Hulk with his strong, toughen and magnetic body lured millions towards him. In the movie, he prevented the biosphere from anarchy and his tremendous & superfluous fight against Loki made us wonder struck. His claim “That’s my secret I’m Always Angry” poped in my mind and therefore I designed a free Hulk T-Shirt Design PSD for myself. So why not to share it with all the Hulk lovers as a weekly gift. Rush and get it. For more exciting & fun-packed stuff don’t forget to subscribe us. 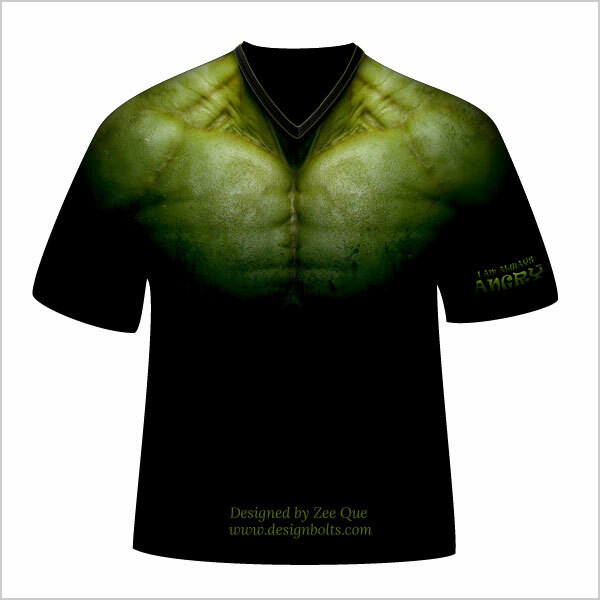 Would love to buy or have the hulk shirt made for my bf… what do i need to do? We do not deal in printed t-shirts. You can use this design and print them by yourself.